Are you tired of the same old, delicious, burger recipes? No? Me neither. Just checking. I don’t think I have ever met a burger I wasn’t ready to inhale. Having said that, here is something a little different to impress your taste buds and friends. This cocoa and coffee crusted burger recipe combines some unlikely ingredients to create an amazing, crust on the hamburger patty when caramelized by the hot (and I mean high heat, sear burner hot) grill. Adding the smoked gouda and BBQ sauce really brings out the flavors of this caramelized rub. Make sure you don’t head to the bread aisle when picking out the buns. Head instead to the bakery and pick up some fresh, soft hamburger rolls. 1Mix together all of the dry rub ingredients. 3Rub all sides of the hamburger patties with a generous amount of the rub. 4Light the grill to high and get your sear burner going if you have one. We need that high heat to caramelize the rub into a crust. 5Allow the grill to heat up for at least 10 minutes with the lid closed. 6Place the burgers over the hottest part of the grill and grill with the lid open. DON’T try to flip them for at least the first 3 minutes or so. Any earlier and the meat won’t “release” from the grates, leaving behind some delicious rub and probably a little cow. 7After about 5 minutes, flip the burgers. You should have a nice black (caramelized) crust on the first side. If not, your grill wasn’t hot enough, so give it a few more minutes. 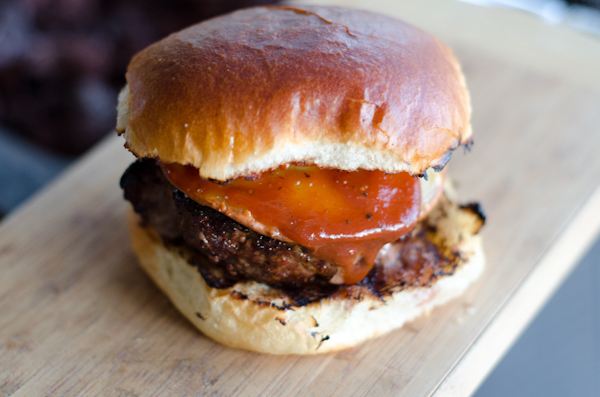 8Once you flip the burgers, place a slice of the smoked gouda on each patty and continue to grill with the lid open. 9Continue cooking the burgers on the second side until a meat thermometer reads 150 degrees for medium. reads 150 degrees for medium. 10Toast your buns and serve with a little BBQ sauce. 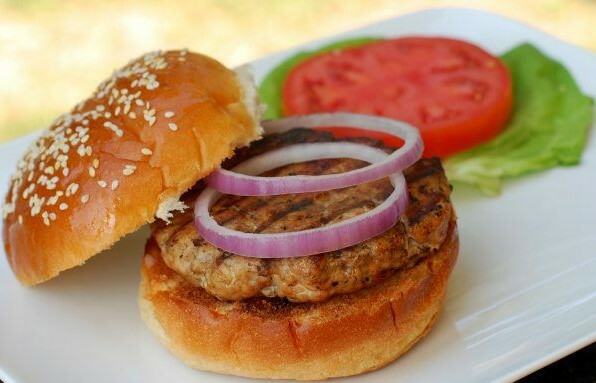 Check out more great burger recipes.